Some of you may have noticed that there was no 'Photobooth Friday' last week. Well at the very least my Mom noticed; a conversation relayed to me by my sister: "I hope Joey's okay...He didn't post on Friday, he ALWAYS posts on Friday." Mom, I'm fine, thanks. I've just been busy with work, and fell asleep on Friday having forgotten to post. When I awoke it was Saturday, and there's no 'Friday's' on Saturday's. Anywho, that feature will resume this week. 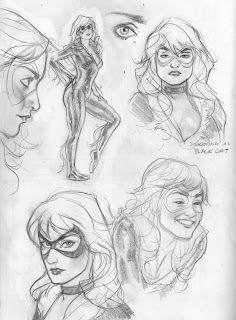 I've also got some cool new art things to post in the next week or so, so be on the look out! 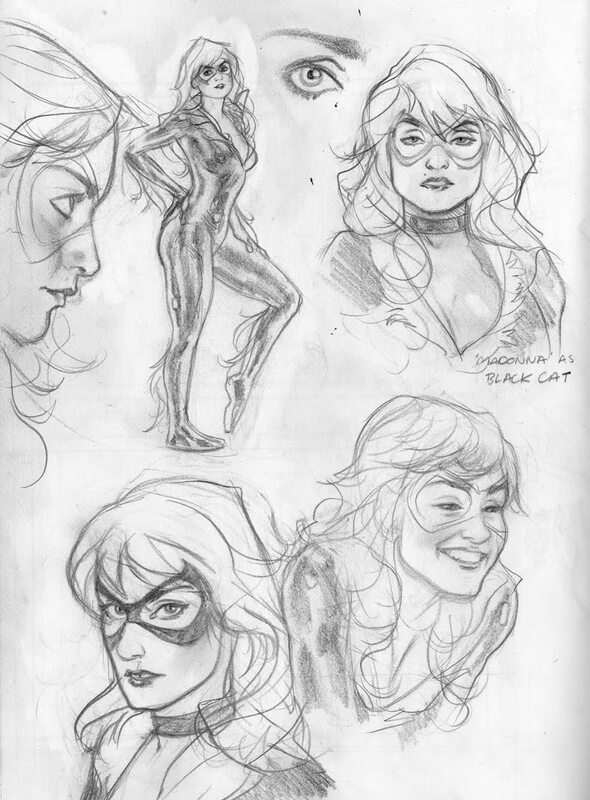 In the meantime, here's some old character sketches from last year's Spider-man/Morbius story. Enjoy! Are you okay, Joe? Did you get punched? I'm sure that's one of the things that went through my Mom's head. She's prone to worry. I'm fine though, Weapon X. Punch Free. 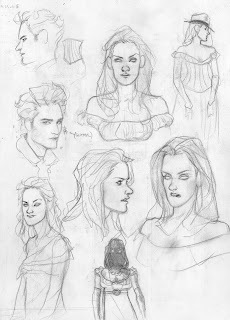 Is that Robert Pattinson from Twilight in your sketches? Is this part of some Marvel/ Twilight crossover? Heh. It was a script involving Morbius that sort of poked fun at the recent teen movie/vampire phenomenon, so yeah. No official crossover's yet though.